Production/Process workers needed urgently to work in Onehunga. You will be working in a food grade company during their busy season. We have at least 6 months full time work available for you, so don’t hesitate and apply now! Shift times are as follows: Morning shift 4am/5am start (10hrs) Dayshift 6am start (12hrs) Afternoon shift 2pm/3pm start (8-10hrs) You will need to be available for all shifts! We are looking for reliable and committed people that can work in Mangere area. We are looking for dedicated and hard working pick packers that can work in Mt Albert. 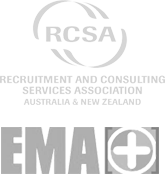 Experienced technician required ASAP in East Tamaki. Mon to Fri 8.30am - 5pm. Flexible start times from 5pm onwards working 8 - 10hr shifts in Mt Wellington area. Sunday to Thursday nights. Heavy lifting required.